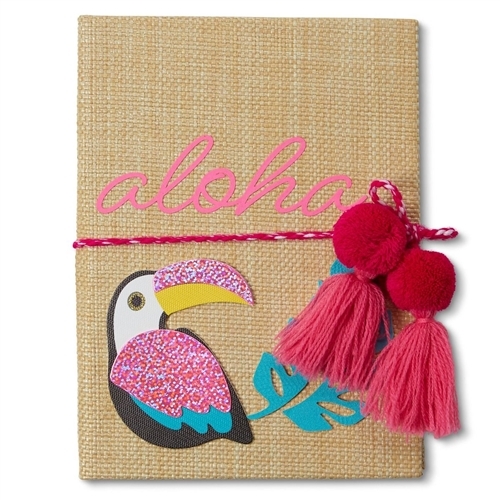 Inspiring, unique, and so much fun, this tropical themed woven straw bound journal is the perfect item to track all your ideas and notes! Add the matching pen for a fun set. Front features Aloha text and glittering Toucan & Palm leaf appliques. 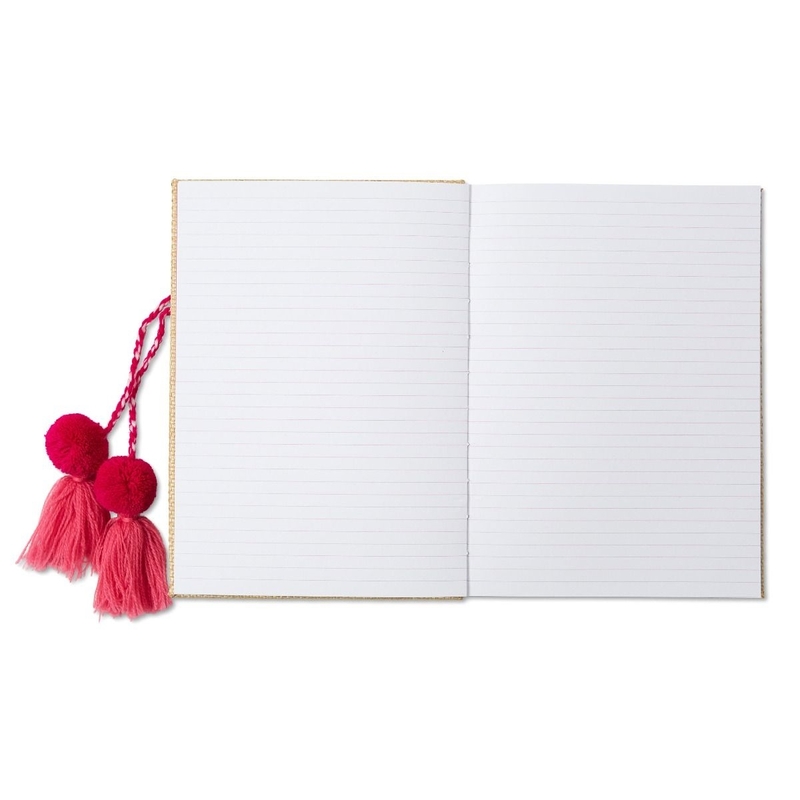 Ties securely with braided strings featuring pom pom tassels. 8.25" x 6" x 1"